It may interest you to know that the Galaxy Note 9 smartphone has been found to have copied the nightmare Samsung Galaxy Note 7 had in 2016. The explosive incident of Samsung’s recent Note model is still on the go! Sad as it may seem. Recently, an American Galaxy Note 9 user reported that the phone exploded inside her purse. 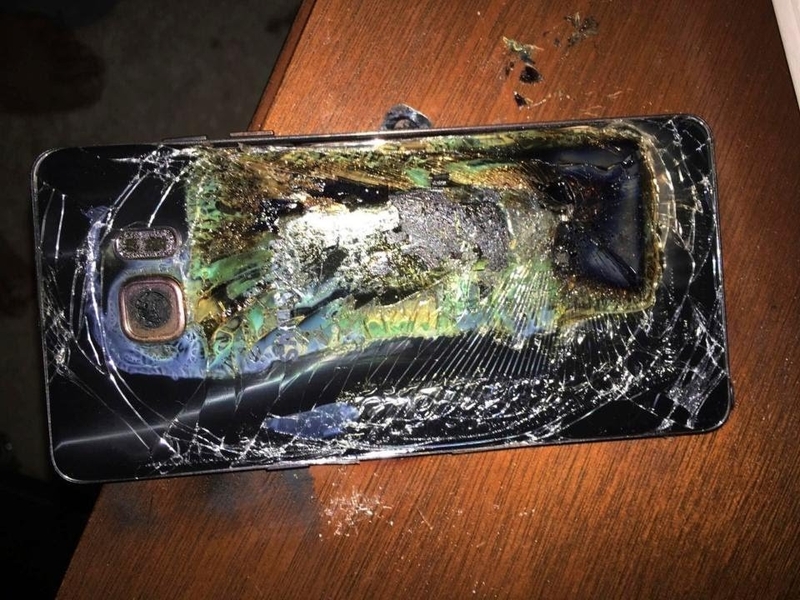 Reporting from New York Post, Diane Chung sued Samsung regarding the disgraceful explosion of her Samsung Galaxy Note right inside her purse. She filled a lawsuit against the company and she is currently waiting for the court’s judgement. Diane Chung explained how the incident occurred, that she was using the smartphone while in an elevator and it suddenly became hot. For safety sake she stopped using the phone and dropped it inside her purse. Not quite long, she heard a noise and found smoke escaping out of her purse, only did she realise it was her Galaxy Note 9 that got exploded and in an attempt to bring it out, her fingers got burnt. This is not funny at all! A $1234 (£899) Galaxy Note 9 has been found to be a threat to health. And according to her, the Galaxy Note 9 only stopped burning when it was carried with a cloth and dipped into water. What Could Be The Cause Of This Galaxy Note 9 Explosion? If one should investigate the cause of a smartphone that got burnt, the battery would be the first suspected part. However, Kate Beaumont, product director, had a security check on Galaxy Note 9 batteries and concluded that the batteries did not catch fire. Meaning the battery may not be the reason for Diane Chung’s Galaxy Note 9 explosion. As was previously announced that Samsung will be holding its 2018 Unpacked Event on August 9 which is today, has finally kicked off with more present and releases offered to the globe. The Event started when DJ Koh, Vice Chairman and CEO of Samsung Electronics, came on stage and he talked about the history of mobile phone which started in the 1970s and with much questions and ideas which came from consumers led to the gradual advancement in the mobile tech world and it’s still advancing. 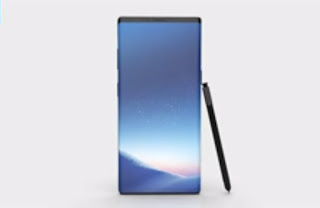 Haven said much on the history of mobile phones, DJ Koh introduced the Galaxy Note 9, a 6.4inch-screen smartphone with an edge-to-edge display and an amazing Stylus Pen (S-Pen). Before the unpacked event date was even announced, there's already been leaks and speculative rumours of what the Note 9 would offer. And surprisingly, from what was unveiled during the unpacked event, the Galaxy Note 9 specifications and features seem to have correlated with the leaks earlier spread online. All thanks to everyone who contributed to the leaks of this smartphone. 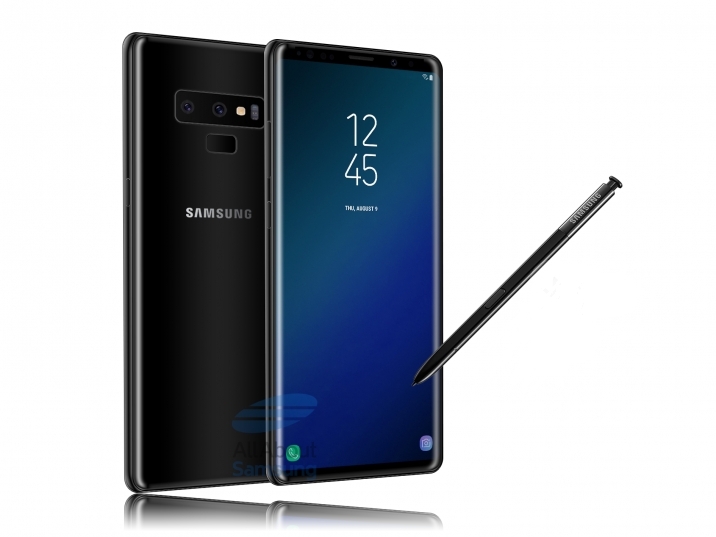 Pre-ordering of the Galaxy Note 9 begins on 9 August in the UK and 10 August in the US while shipping of the device will start on 24 August, that is two weeks from now. There are variants of the Galaxy Note 9 which is distinguished in terms of Memory ( Internal Storage and RAM). The device is available in two options: 128GB storage size/6GB RAM OR 512GB storage size/8GB RAM. Prices in other countries may vary though approximately equal to the above prices. The Galaxy Note 9 will be one of the biggest phones in 2018, with a 6.4in Super AMOLED Display mounted on its front, up to 512GB storage and 8GB RAM to receive every file you want to keep and use, and a 4000mAh to power it up. One could finally throw off the habit of uninstalling amazing games and apps painfully to the past. At the back of the Galaxy Note 9 is seated a dual 12MP camera featuring dual-aperture technology and is capable of recording Super Slow Move videos. The camera has a way of optimising scene automatically and detecting flaw to improve photos. 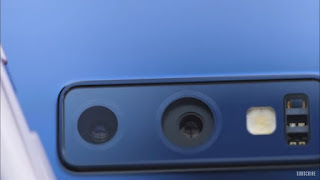 At the top front of the device rests an 8MP selfie camera with Dual video call feature. There's more to talk about on the new S-Pen that will ship with the Galaxy Note 9. Much improvement is on the Galaxy Note 9 S-Pen designed to perform extremely amazing tasks for you. It's amazing to know that Samsung technically squeezed a portable battery and a tiny Bluetooth Low-Energy antenna into the Galaxy Note 9 S Pen. • Music Player: Navigate through your Music files, play and pause music / skip to the next track. Apparently, the S Pen does not need to be charged but Samsung says a 40 seconds charge of the S Pen will provide 30 minutes of standby battery. 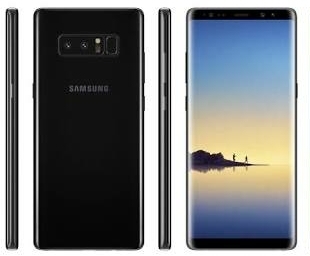 The Galaxy Note 9 is seen to be competing with iPhone X in terms of price (similar price tag) and it features a headphone jack and a microSD slot which the iPhone X doesn't hold. Samsung says the launching of its Galaxy Note 9 will be held on 9 August, at a Samsung Unpacked event in New York. Meanwhile, Samsung teaser video of the Galaxy Note 9 shows off the phone's modified S Pen, which looks set to be made available in gold. However, we shall be discussing the rumoured specifications and features of the Galaxy Note 9. Hence, rumour has it that the phone is bigger than its predecessors in terms of specs and features. Fans of bigger screen resolutions will definitely love this Galaxy Note 9 as it is expected to feature a sizable 6.38in display. This is slightly bigger than the Note 8 having a 6.32in display. 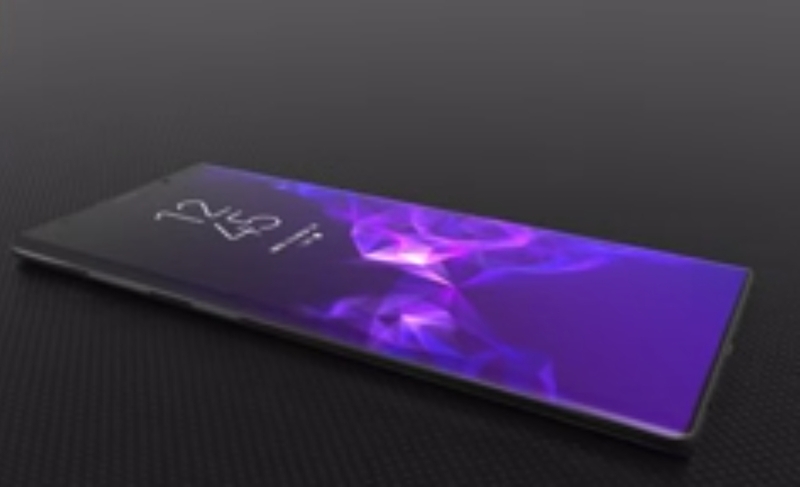 The screen could be curved on all sides with an 18.5:9 aspect ratio. The phone is also expected to own the same resolution as on its predecessors, that is the 2,960 x 1,440 pixels, the reason being that no news has been heard regards its resolution. According to rumours, the Galaxy Note 9 is expected to feature a 4k display. However, the phone may also be the first of Samsung flagship to feature an on-screen fingerprint scanner. Just like the Galaxy S9 series, the Galaxy Note 9 is anticipated to probably be powered by the new Snapdragon 845 or Samsung's own Exynos 9810 chipset- depending on the region. Also, under the hood of the Note 9 will likely be a whopping 6GB RAM just as the Note 8. This will be fun for users who would want to run tons of programs/applications on the phone. But there is another suggestion that, according to Chinese leaker Ice Universe, the Note 9 will be kept up and running with a massive 8GB RAM and 512GB of Storage. These two alternating stories of the phone's Storage features simply conclude to us that Samsung is yet to make its final judgment. Or probably, this could be a sign that there might be two variant of Galaxy Note 9. Like previous brands of the Note series, the Galaxy Note 9 will come out of the box with a dual-camera mounted on the back, with few advancements. Some of the features of the camera set up including but not limited to; digital zoom and a bokeh effect. Unfortunately, there's nothing much to talk about the Camera that the flagship device will possess. There hasn't been any reliable leak info like camera megapixels, aperture size and others. Speaking of the battery, according to the leaks by Ice Universe, Samsung Galaxy Note 9 probably will be powered by a 4,000mAh battery unlike its predecessor having pretending comfort with a 3,300mAh battery. According to Galaxy Club, the FCC listing include a new wireless charger with model number EP-N6100 that possesses an input rating of 12 volts and 2.1 amperes. This implies that Samsung might also release a faster wireless charger alongside the Galaxy Note 9. We expect the Note 9 to come out of the box with a headphone Jack and a free pair of AKG headphones. Like every other modern smartphone, the IP68 rating for protection against dust and water is not excluding from Note 9. Here come the most pronounced changes to be adopted by the Note 9. Samsung is making a big modification to the S Pen we know. FCC listing confirms that it will have Bluetooth enabled. 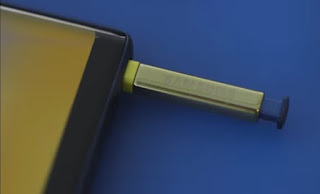 According to FCC, a device referred to as Stylus Pen has the model number EJ-PN960 that matches with the Samsung Galaxy Note 9's SM-N960 model number. The similarity is the "N960".The S-Pen will connect to the phone with 2.4GHz Bluetooth LE. This will allow the S-Pen to take pictures and control music wirelessly, it will also be capable of acting as a pointer during presentations, as well as creating digital signatures for authentication. With the 2.4GHz Bluetooth LE support, rumours suggest that the S-Pen will for the first time have a battery. The Operating System is one area of concentration we do not exclude when we discuss smartphone specs and features. The Galaxy Note 9 is expected to have been built on Android 8.1 Oreo with Samsung's Experience skin on top. On addiction is the probability that the Smartphone might also be launch alongside the much anticipated Bixby 2.0, the latest version of Samsung's digital assistant. The Galaxy Note 9 is expected to be released in varieties of colours so buyers can make their choice. and brown. Also, the S Pen is said to match the colour of the phone. We've come to the end of this discussion. Meanwhile, keep visiting Oshetech for more news on the Galaxy Note 9 and other tech discussions. Thanks for reading. The much anticipated Samsung Galaxy Note 8 has officially been released, it was launched in August 23 as was promised. Before now, i published a post about the final specifications and release date of the smartphone, and now that it has been released, let's get to know if really the specifications and features we have been hearing and seeing online are exactly what is contained in the released Samsung Galaxy Note 8. Samsung’s stunning smartphone, the Galaxy Note 8, had its launch in New York two days ago. The smartphone is a very unique brand, it was designed with lots of amazing features which are discussed below, starting with its specs review. OS: Of course Android 8.0 Oreo got released by the tech giant, Google, two days before the launching of Samsung Galaxy Note 8, so you should not expect it to be running on this new Samsung’s stunning device. Galaxy Note 8 was built to run on Android 7.1.1 Nougat Operating System, probably sooner or later it may receive Android 8.0 OTA updates. Processor: Samsung Galaxy Note 8 is powered by two different processors depending on user's location. 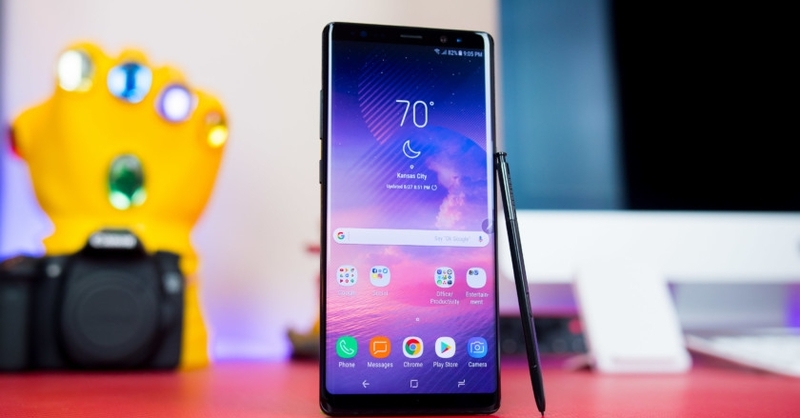 For users living in US and China precisely, the Galaxy Note 8 is powered by a Qualcomm Snapdragon 835 (10nm) octa-core CPU while users in other parts of the world should have Galaxy Note 8 powered by Exynos 8995 (10nm) octa-core CPU. GPU: Its GPU is also region-dependent. Samsung Galaxy Note 8 will have Adreno 540 (for Qualcomm Snapdragon processor) working in U.S and China. And in other places it will be powered by ARM Mali-G71 (for Samsung Exynos processor). Galaxy Note 8 has its dimensions as 162.5 x 74.8 x 8.6 mm (6.40 x 2.94 x 0.34 in), weighing 195.00 grams. Its build up is made with Corning Gorilla Glass 5 back panel. In addition, Samsung Galaxy Note 8 will have a very good protection rating as it is IP685 Certified- which means that the smartphone is dust and water resistant over 1.5 meter depth and 30 minutes duration. Samsung Galaxy Note 8 is indeed a high-end device, it's display type is the Super AMOLED capacitive touchscreen having 16M colors. Samsung Galaxy Note 8 features a S-Pen which does more amazing things than the previous version. One thing i love about the Galaxy Note8's S-Pen is its ability to perform translations of many languages to in your primary language. It can be done simply by highlighting the text with the S Pen via hovering, which will then provide the translated text in your primary language. Another amazing feature of this S Pen is that, it converts currency to your preferred choice using the same method of language translation. I know this is the feature you have been willing to come across. Before i drop this feature, you should know that Galaxy Note series will never have a poor memory size. The Galaxy Note 8 comes with an internal storage size of either 64/128 or even 256GB, depending on the region. It also has MicroSD card slot and can accommodate up to 256GB. With all of these storage capacity is a whooping 6GB RAM to keep the smartphone up and running. But even if its storage spaces and RAM are indeed massive, there's still need for users not to cross at least 75% of the storage space to avoid slowdown in performance (follow the link for more details). You can't really talk about any smartphone specifications without mentioning its camera quality and features. As for Galaxy Note 8, it comes out of its box having 12MP Dual Primary (rear) camera supporting f/1.7 and f/2.4 apertures, phase detection autofocus, touch focus, Auto HDR, panorama, smile focus, and other features. Samsung Galaxy Note 8 offers its users a choice of whichever biometric authentication options to be used for securing the device from third-party or unwanted users. These biometric authentication options includes fingerprints and Iris scanners. Also, with the device, your personal information and data are protected and kept separate with its secure folder. With all these features present in the smartphone, it is powered by a non-removable 3,300 mAh battery to keep it up and running. I end the review here because i know you are getting tired of reading. But there are more specs you should know about this new flagship device. Anyway, below are full listed specifications of Galaxy Note 8 plus its price details, you can just take a glance through them. touch focus, face/smile detection, Auto HDR, simultaneous 4K video and 9MP image recording, Geo-tagging, f/1.7 and f/2.4 apertures, phase detection autofocus, 720p@240fps, 1080p@60fps, 2160p@30fps, dual-video rec. Type: Super AMOLED capacitive touchscreen, 16M colors. Processor: Exynos 8995 (10nm) octa-core CPU. GPU: ARM Mali-G71 (for Samsung Exynos processor). Yes, we have come to the price section, report has it Samsung Galaxy Note will be the first smartphone to cost more than $1000, oh $1000 is a huge sum of money! Not even adding the MORE THAN that was mentioned. #1. Does the specs and features of Samsung Galaxy Note 8 worth the price? #2. If such money is converted to your home country currency, then how much will it cost you to purchase Samsung Galaxy Note 8? Let us know your answers by dropping them in the below comment box… Thanks for visiting Oshetech, please do come back for more tech gists and info.